By now, most of us have heard of Japanese organizing guru, Marie Kondo and her best-selling book: The Life-Changing Magic of Tidying Up: The Japanese Art of Decluttering and Organizing.  No fufu gimmicks or smoke and mirrors, the team at Maid In Oahu swears by Kondo’s method so we decided to share our insights with you. It truly shifted our perspective and brought light to the magic of purging your home. A game changer. First published in 2011, Kondo’s book skyrocketed to the top of all literary lists and like the title alludes, changed so many homes and lives. It almost feels obligatory for us to write this piece today, even 6 years later. Because the fact is, there are many of us who don’t know about this book or practice still, or do know of it, did it once, and then fell back into patterns of clutter and disarray. Warning: Kondo’s methods are known to never have to make you clean again! Place your hands on everything you own and ask yourself if it incites joy. If it does not, thank it for its service and toss/donate it. Once you have only your most joyful things, put every belonging in a place where you can see, and is easy to access and grab. Wait!!! I know what you’re thinking. This is too simple. And how am I going to put everything in a place easily seen. Here are 8 key takeaways from the practice. Try them yourself and if you are craving more, get yourself some Kondo. It would seem logical to start decluttering by sections of your home. Nope! Kondo says to dive into your purge by categories of things – clothing, papers, dishes. Clothing is a huge one and easiest, since we are least attached to them. Just because they are inanimate object doesn’t mean they don’t have feelings. That’s right! Consider if your clothes would be happy to being crammed in the closet, all jumbled, or shoved deep into shelves. Honor your things to see them in a new light and the process will flow. Kondo even says a prayer before entering homes to do work. 3. Nostalgia: Forget About It! We all have them. Boxes in the back of closets that are filled with old photos and letters. Every time you open it, start reading and suddenly you are sucked into a vortex of nostalgia. It’s sweet but will not help you in this endeavour. It’s not about being cold hearted! Rather, it is about focus. This purge is not meant to inflict pain. Sure, it may be uncomfortable at first. Our thoughts start to divert to notions of scarcity: I won’t have anything left! Would if I regret getting rid of that? You will find that respect and focus quickly allows this work to be fun. When we desire to only keep the thing that bring us joy, the things that really aren’t for you become too much, too heavy. The goal is to become lighter. This comes only after you have truly purged. Once that is done, you can choose where things go. Kondo also opts for folding items in a dresser, rather than cubbies or hanging. She also has a technique to fold! The vertical fold creates neat rows, makes things easy to see won’t make a mess when one item is pulled out. Shoeboxes for your drawers are great sub-organizers, too! It’s a new day. The things you love are gleaming and showing themselves off. Your belongings can breathe. It brings you joy to open and look at your closet. Getting dressed is fun again. Often we are lazy in what we wear. There is no celebration because we lack inspiration from the moment we look at our closet. No more! Now what you truly like, your true style can shine. This process is about creating definition and what you wear daily is a reflection of that. Naturally, we accumulate things in this society. This act of tidying up is so bold, takes courage and to be honest, is quite revolutionary. To combat materialism is not a matter of having no possessions, but how we treat them. You should be proud of yourself. Conclusion: Welcome to housekeeping magic. 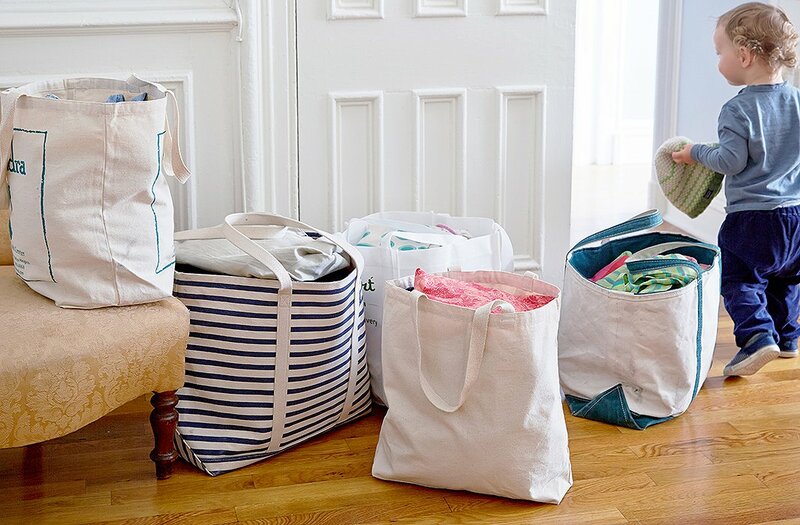 Tidying and organizing can do wonders to make your home feel fresh and new again.